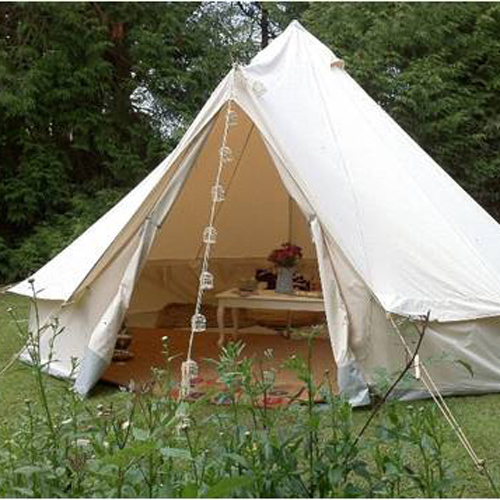 Large bell tent - an excellent chillout zone or kids area. 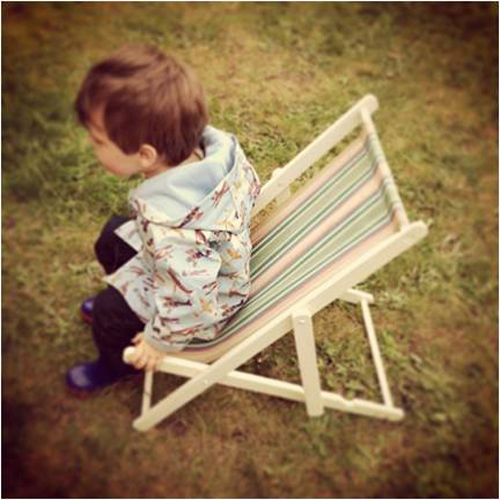 Children's deckchairs with a mixture of fabrics..
Children's white highchair with safety belt. 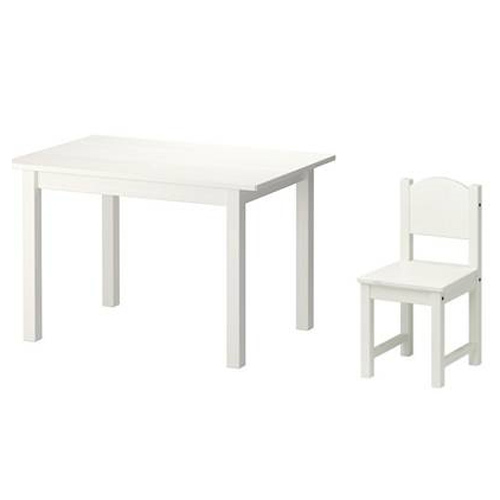 Set of white wooden tables and chairs. 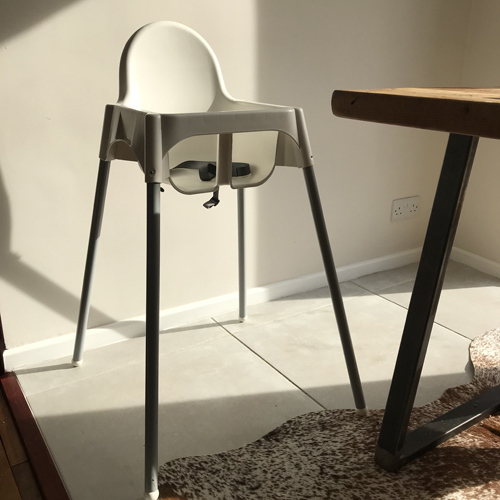 Set includes one table and four chairs. 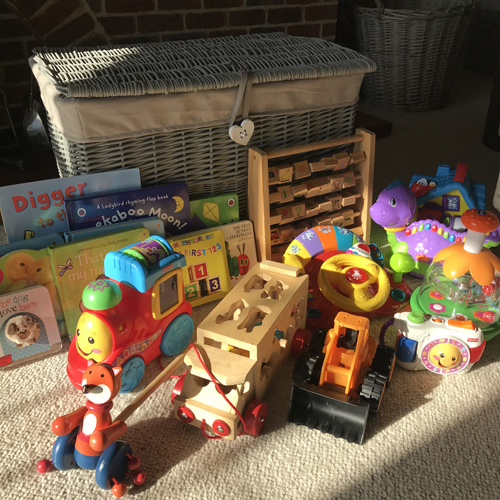 Grey wicker basket filled with 10 toys and 10 books. If you let us know the ages of your little guests we can taylor the contents to suit. 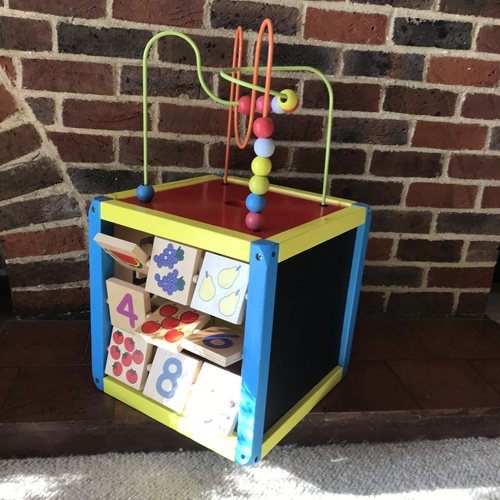 Wooden cube with 5 different activity sides.